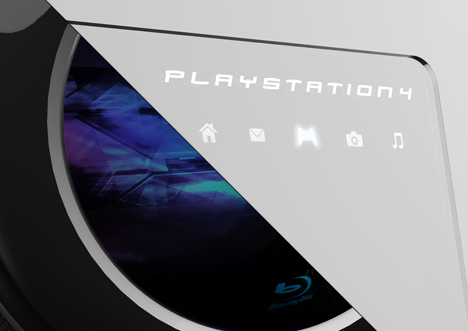 Overview: Forget all your Playstation 3s. 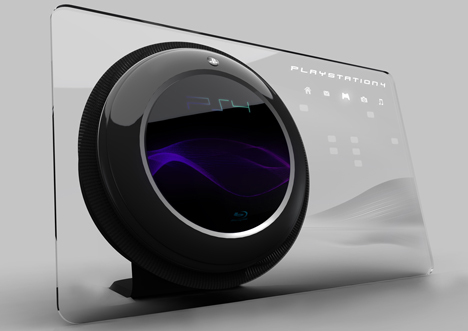 Forget your Playstation 3 thin models with multiple lovely colors, forget even the earlier design by this same designer, Tai Chiem, that PSP 2 concept he whipped up last year, no! Check this thang out. 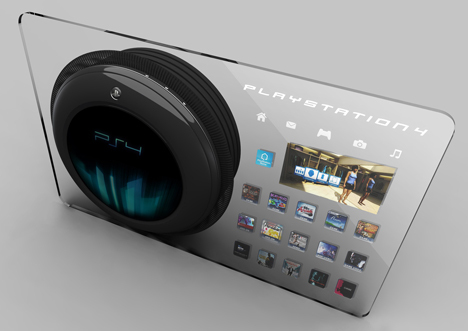 It’s the Playstation 4. 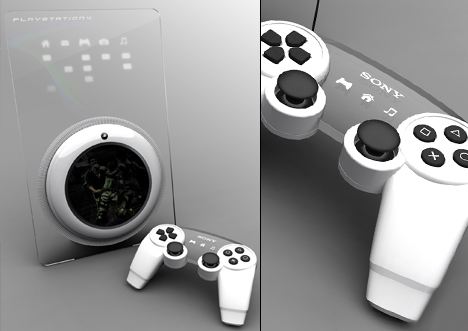 Tai Chiem’s Playstation 4 concept: that’s how you know it’s wild. And with clear material and minimalistic aesthetics in play, you’ve got one Tai-tastic amalgamation, to be sure. 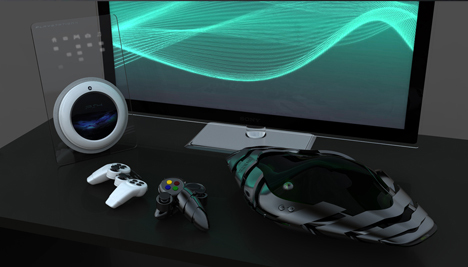 BONUS: that other spaceshippy looking thing is his “xbox 720.” Lollers! I’m reminded of the comic on Penny Arcade where they first talk about the xbox controller being harder to hold than a grizzly bear. It’s HUGE! SO! PS4! What’ve we got here? Bluetooth integration, plastic/glass backs and middles. LCD screen(s) on both the controller and the system itself. The same classic aesthetic bone structure for the controller that PS has always had. The same ability to turn the system on it’s side (I always thought that was a super-simple super-genius feature of the PS series.) And the continuation of the standard “CD” disk size for games. I’m hoping for the games to come in cube form, allowing you to just scan the cube for a new game. How cool would that be? Totally cool.